I’m so grateful for all the heart-centered people I get to work with. (Plus they say all these nice things!) It’s a pleasure to see them enjoying their work and making a difference in the world, even if they are too humble to say all the big stuff they have accomplished. If you want to talk about if coaching would work for you too, let’s chat and find out. No pressure. Request a free initial consult here. Being a solopreneur can be incredibly isolating and a good bit overwhelming at times. I was also planning a wedding while trying to grow my health & lifestyle coaching practice after a relocation from NYC. Working with Val helped me stay focused, grow, and move forward sustainably. I’m projecting at least a 200% growth in revenue this year and feeling ease accomplishing that, instead of gross about marketing. Initially, I worked with Val to edit and refine [my website] content to the point where I not only felt very comfortable and ready to put it out up on the web, but also that it so accurately expressed who I am and what I had been trying so hard to say. Now she is helping me to find creative ways to market myself that are also aligned with who I am and what I feel very comfortable doing. I would highly recommend Val for anyone who is working to find the ways to naturally express who they are and what their unique gifts and services are. I’m so thankful that I found Val when I did! Val gets results! In addition to her incredible insight, intuition, and creativity, her calming strength provides the perfect space in which to flourish. Her unwavering support encourages me to take steps into areas of personal and professional growth — bountiful areas into which I would not have otherwise ventured. Thanks Val! You’re awesome! I’ve gone from feeling hopeless and helpless to empowered, capable, and growing. Val has a way of creating a comfortable space, and at the same time, really taking you to the limit to unleash your fullest potential. After our coaching sessions, I always feel invigorated…and the thing is…it’s not the kind of electricity that fades…. I have found ways to unleash what’s already inside me to be much more productive and creative with her help. Thanks Val, you are a God-send!! Val is a gem and I will always be grateful that I invited her into my life! I went to Val because I was contemplating a change and I didn’t have any idea where to begin or what I was qualified to do. I really didn’t believe I had the skills to do anything that was very different from what I had been doing for the past 21 years. She helped me to believe in myself and showed me how to step out and make connections and begin to do all of the things that I was always able to do, I just never knew it. She has a way of helping you discover how to find what your inner self is telling you about your life’s purpose. Then, how to move towards that purpose and truth. Val has been instrumental in guiding me to elicit and trust my innate abilities to embody a new business venture. In each session, Val meets me where I am and elevates me to move forward. When I leave a session with her, I can feel a shift from hesitation to determination to lean into creating my own destiny. It became clear in the first session that Val is a caring, concerned and professional individual. She gets to the heart of what her clients are really about. Establishing my core values and discovering my life purpose has given me an invaluable tool for decision-making that ensures I respect who I am as an individual. Val is a great listener and a real support throughout the process. Her organizational skills kept me on-track and focused when I needed it most. Her approach to her clients is very individualized and adaptable to assist in dealing with new challenges should they arise. I will soon be going back to school for something that feels perfect for me! When I started seeing Val for career coaching, that was not even on my radar. She has taught me to believe that it is possible. ALL OF IT. I thought I was going to see Val to just get back to work and now I realize I was going to see Val to do my life work. Val is a great teacher because it comes from the inside out. I recommend anyone who is looking for a life change and looking to do their life work to see Val and let in her magic. Deftly and gently and yet with great force, Val always finds a way to clear the thickets of resistance. Val has a coherent and flexible vision for her client. I found myself in a much better place for having worked with Val. She helps one find the results which, after all, dwell within. Very highly recommend Val. I got immediate positive results working with Val. 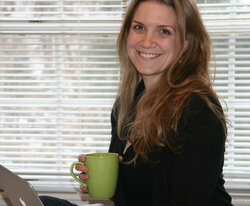 She helped me with web marketing for my healing practice. The process was fun, and the results immediate and dramatic. She also helped me to envision what I optimally want my business to be like, and to take practical steps toward manifesting that vision. I highly recommend her! Val is a tremendous pleasure to work with, and her insightful guidance goes above and beyond. Not only is Val a maestra of synthesizing strong technical knowledge with wonderful common sense, she very clearly comes from a place of perceptiveness and sincerity. In fact, as a result of her very approachable and intuitive nature, her guidance in business has effortlessly improved spheres far beyond the expected, as well. 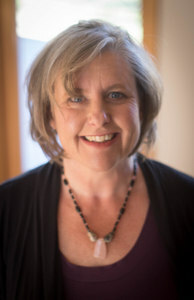 Val is a pleasure to work with, superbly knowledgeable in her subject area, and has provided tremendous focus in our content development and online marketing efforts. In just a short time, I have found her guidance and service to be extremely valuable, and look forward to working with her extensively in the future. Her recommendations are specific, results-oriented, and grounded in the realities of our business. She has instructed us in the appropriate use of social media in a way that is clear and effective. Thank you Val! Working with Val is a professional dream come true. She is extremely pro-active in her field, educating herself on the latest technology and marketing trends. This high level of professionalism is coupled with a generous, patient spirit, as she works to help educate her clients. Not only will she solve your problem, but she’ll find the best solution tailored to fit you as a client, and you will find yourself learning volumes from her expertise along the way. Val worked with me to understand the message and services that we wanted to communicate to our audience and then made highly fruitful suggestions for how to make sure that search engines were getting the point as well as our visitors. No gimmicks; just lasting results. The return on investment is a no brainer. Val has contributed greatly to our company. She has excellent communication and marketing skills, and I highly recommend her for any work involving websites, marketing, promotions, communications, and working with the public. From the moment I met with Val, I was impressed with the professionalism and range of expert advice she offered. She was attentive and easy to work with. After I implemented Val’s suggested changes, I began noticing a positive difference: My website routinely showed up in the top 3 in Google for my targeted search phrases. Inquiries and enrollments increased. And the site drew a wide range of people. I highly recommend Val and will undoubtedly use her services again.